The Brain Research Institute at Monash Sunway (BRIMS) is an internationally recognised Neuroscience platform affiliated with the Jeffrey Cheah School of Medicine and Health Sciences at Monash University Malaysia. BRIMS has contributed significantly to the growth of Brain Science since its establishment in 2006 as a small research lab. 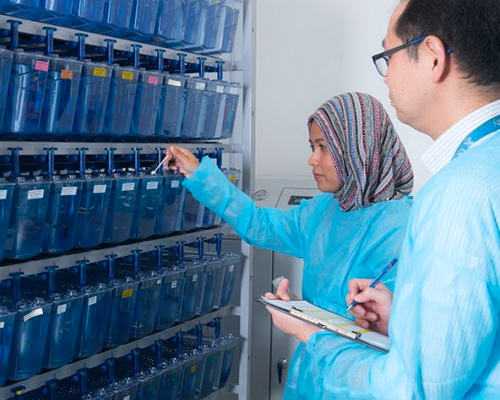 Today, BRIMS takes pride on its cutting-edge facilities for researchers to conduct world-class research in Malaysia by providing our technical expertise as well as training opportunities. This group aims to understand the cause of depression and anxiety from a range of aspects including biochemical, physiological, pharmacological, genetic, behavioural, environmental and social factors. This group aims to establish human pluripotent stem cells (PSCs) and zebrafish as models for human brain diseases and for drug screening. This group aims to understand neuronal circuits linking negative emotion and addiction. This group utilises genomics approaches (transgenic and knock-out), single-cell gene expression analysis, DNA microarray, RNAi, and microRNA to address the molecular mechanism of age-related neurodegenerative diseases such as Alzheimer's and Parkinson's diseases. Autism spectrum disorder (ASD) is associated with difficulties in social interaction, verbal and nonverbal communication and repetitive behaviours. This group aims to understand the neurochemical basis of autism. Explore more on neuroscience here at BRIMS.